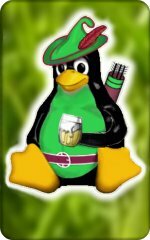 The Nottingham GNU/Linux Users Group is an informal community of computing enthusiasts spanning Nottinghamshire and onwards around the world who wish to promote the use of free and open source software with an emphasis on the GNU/Linux operating system as created by and for the community. Our members encompass all skill levels and interests, so there should be something for everyone. Membership is free and open to all, so get involved! Above all, it’s all fun! Our primary form of communication is our members mailing list. All are free to subscribe and contribute to the discussion, or to browse the archives. The maillist is a good place to ask for help or advice or just to say hello to the group. We hold regular social and technical meetings which are open to anyone and everyone who has an interest in GNU, Linux, and Free software. Especially welcome are those who are seeking help with software, computers and computing, on PCs and other platforms, at home and at work. Our usual venue for tech meetings and talks is in one of the pubs near the centre of Nottingham where we have use of a function room or a quiet area. Socials are arranged around the city or around clusters of members. See the maillist or the events listing for where we will be next. We are a spontaneous and flexible group where events can be updated for current interests and/or arranged that week! This year we meet on the first and third Thursday of each month and we’ll squeeze a social or two in the weeks between. Please just come along to one of our meet ups, or just say hello on the maillist. “Linux” is commonly understood to describe the GNU operating system running on the Linux kernel. In everyday common language, “Linux” can also describe the entire software system of applications, GNU operating system and Linux kernel, which is all described also as a “Linux distribution” or a “distro” for short. 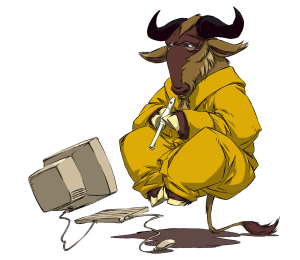 On this site, all references to the single term “Linux” describes the “GNU/Linux” system pair. References to the Linux kernel are often abbreviated to just “kernel”. The acronym FLOSS includes the phrase “free-libre” to emphasize software “freedom” over that of the ambiguity of the word “free” also meaning zero cost.